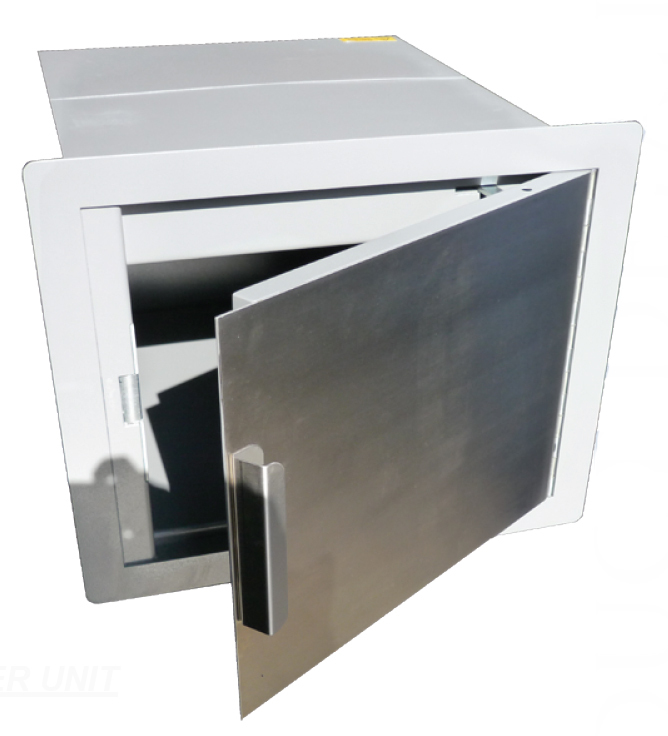 Ideal for cash carrying cases or large confidential document bundles; the Bulk Transfer Unit ensures exceptionally high levels of security thanks to its interlocking front and rear doors which prohibit both doors being open simultaneously . The Bulk Transfer Unit is available from stock in either left or right hand versions, can be supplied as a stand alone unit , combined with a pay window or supplied as part of a full KS Security installation. TRANSFER Large to medium size packages through electrically interlocked doors. OPTIONS Wall or Counter mounted. FINISH Brushed Stainless Steel door to customer side. Contact us today to discuss your secure bulk transfer unit requirements; we’ll discuss your budget and come up with a solution to suit. 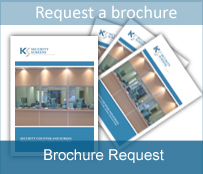 Should you wish to discuss your security requirements in more detail, please contact us with your enquiry.